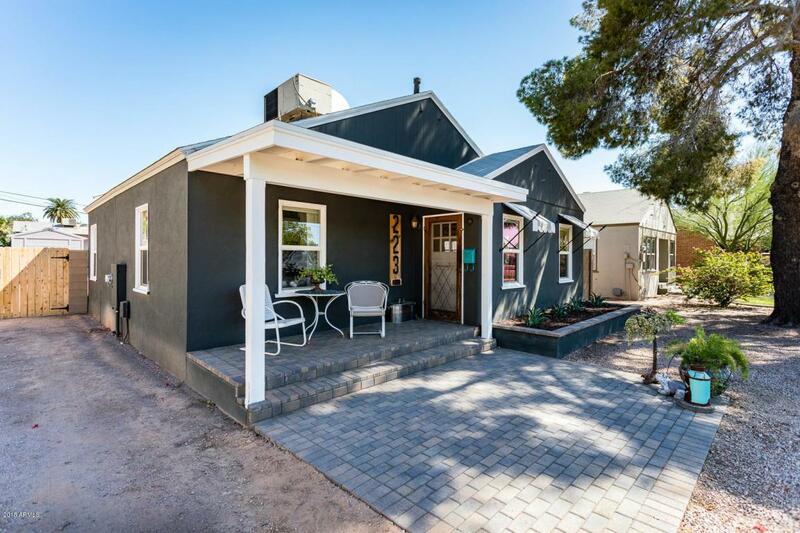 This charming home is an incredible first time home buyer opportunity, or an excellent investor purchase. Would also make a great winter visitor home. 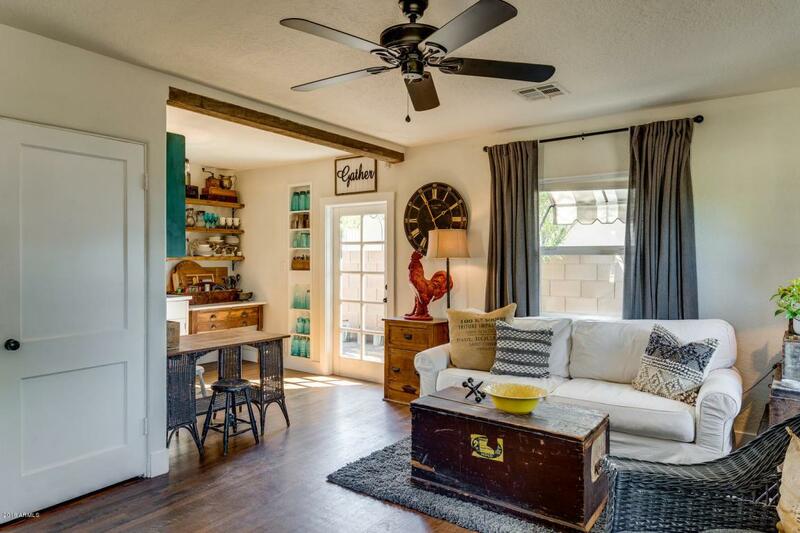 It features 2 bedrooms, remodeled kitchen and bath with vintage updates, as well as a HUGE lot with two single car garages. Backyard is fully fenced and very private-perfect for a pool! Original refinished hardwood floors, new paint inside and out, vintage exterior light fixtures..every detail has been addressed! 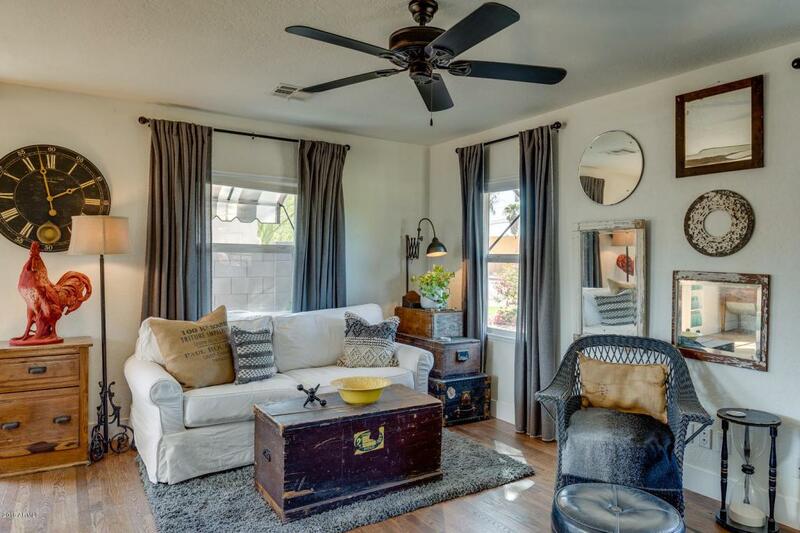 This cute and cozy gem in the Robson Historic District is in the highly desirable 1 mile downtown grid and includes historic homes. 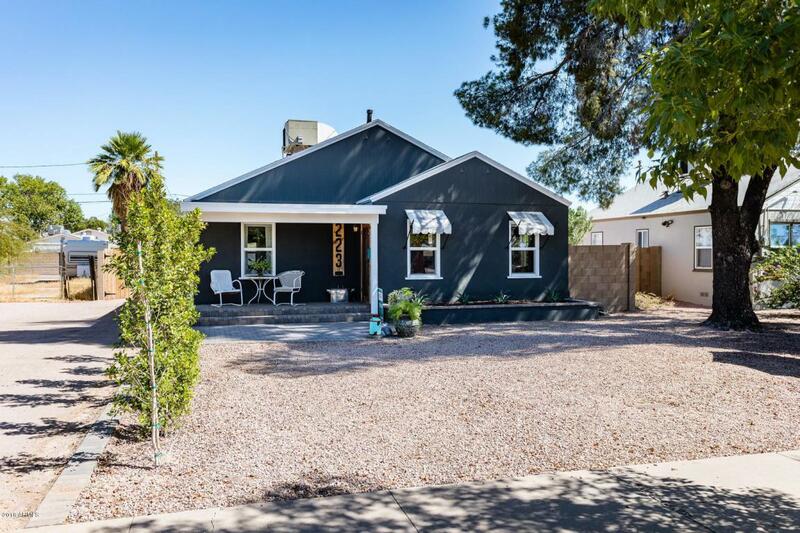 This cottage style home is only 1/2 block from the well sought after 2nd Street Historic District known as ''Millionaire Row'', and the light rail is only 2 blocks away!